An imposing 21,778-feet tall; the magnificent and majestic Mount Kailash is more than just a mountain. It’s a legend. A revelation. An epiphany. A journey, that is both outwards and inwards. Located in the Himalayan mountain ranges of the remote Southwestern corner of Tibet, Kailash is not just one of the highest parts of the world and the source of four mighty rivers of Asia — the Brahmaputra, the Sutlej, Ganges and the Indus — but it’s also one of the most significant spiritual spots in the world, revered by millions of people from different religions across the world. But more than anything, the journey to Kailash / Lake Mansarovar is a life-changing experience for the few thousands of pilgrims who undertake it every year, teaching them a sense of self like nothing else can. For a pilgrimage to this isolated, timeless, breathtaking and fascinating spiritual spot, is like a journey within yourself. It is a once-in-a-lifetime opportunity when one embarks on this journey to Kailash Manasarovar and one invariably returns from this trip completely transformed. The magical and mystical spot has been drawing people to its divine presence for various reasons. 1)	According to Hindu legend, Mansarovar Lake was first created in the mind of Lord Brahma. Hence, in Sanskrit it is called Manasarovar, which is a combination of the words ‘Manas’ (mind) and ‘Sarovar’ (lake). 2)	Hindus also believe Mt. Kailash to be the abode of Lord Shiva, the holy center of the Earth and the manifestation of heaven itself. 3)	Tibetan Buddhists profess that Kailash is the home of the Buddha Demchok who symbolizes supreme harmony. 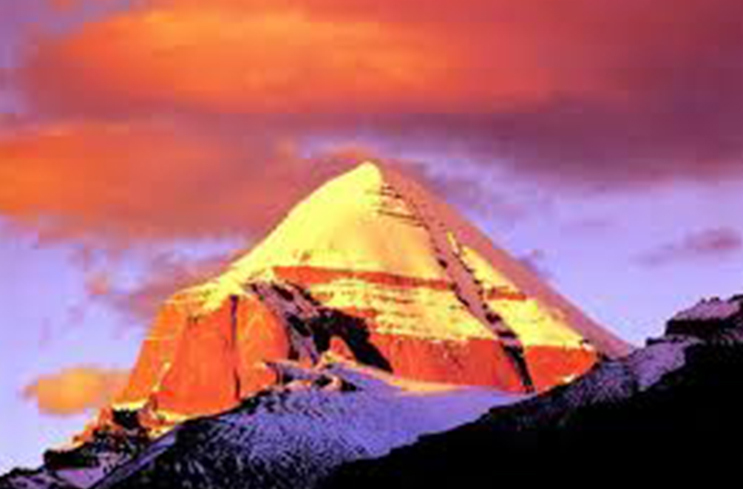 4)	The Tibetan religion of ‘Bon’ believes Mount Kailash as their spiritual seat of power. 5)	In Jainism, Kailash, referred to as Mount Ashtapada, is the place where the creator of their faith, Rishabhadeva, attained freedom from the cycle of life and rebirth. 6)	A trip to Kailash Manasarovar is an intense spiritual experience.. A sojourn to this roof of the world is arduous, but rewarding. Every single traveler who has taken this incredible journey undergoes a humbling and enlightening transformation, which cannot be described, it can only be felt first hand. With every step one takes on this memorable journey, one is sure to be enveloped in a sense of endless energy, tranquility and Oneness.